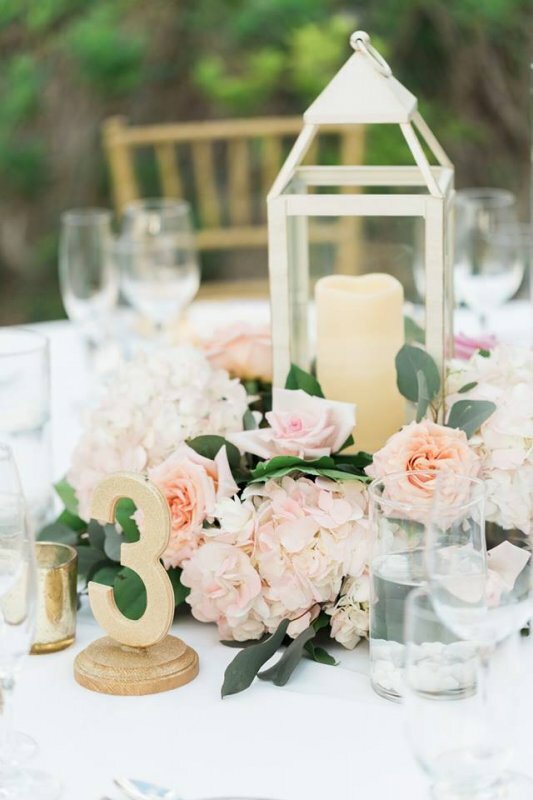 This pretty and romantic wedding was the epitome of the garden look and feel—lush flowers in soft, pastel shades of blush and peach with lots of greenery. 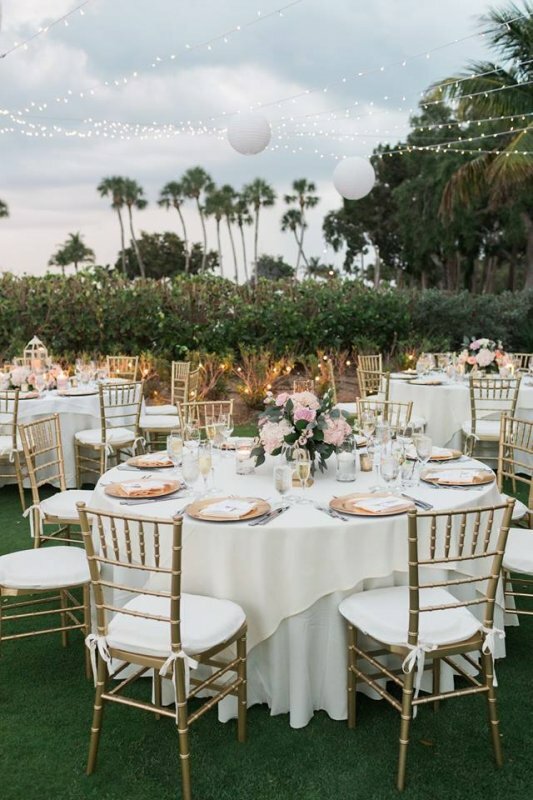 It was a lovely event! 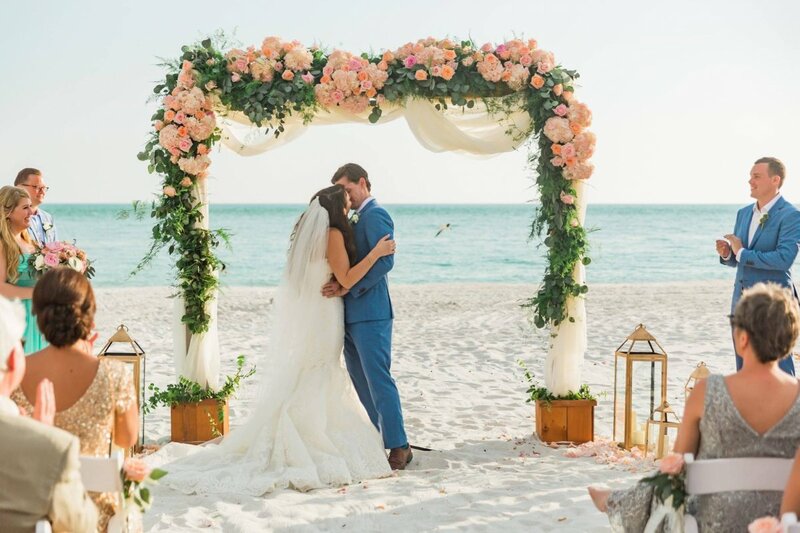 For the ceremony, we used our cedar arch and covered it with a garland of mixed greens including silver dollar eucalyptus. 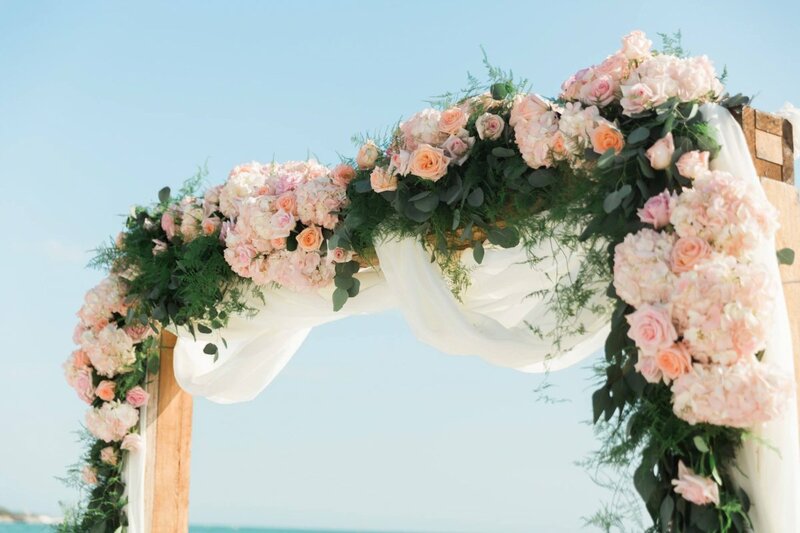 Into this lush garland, we tucked gorgeous open garden roses and hydrangea in the elegant blush and peach tones and added a swath of sheer fabric to add a little flow and softness. 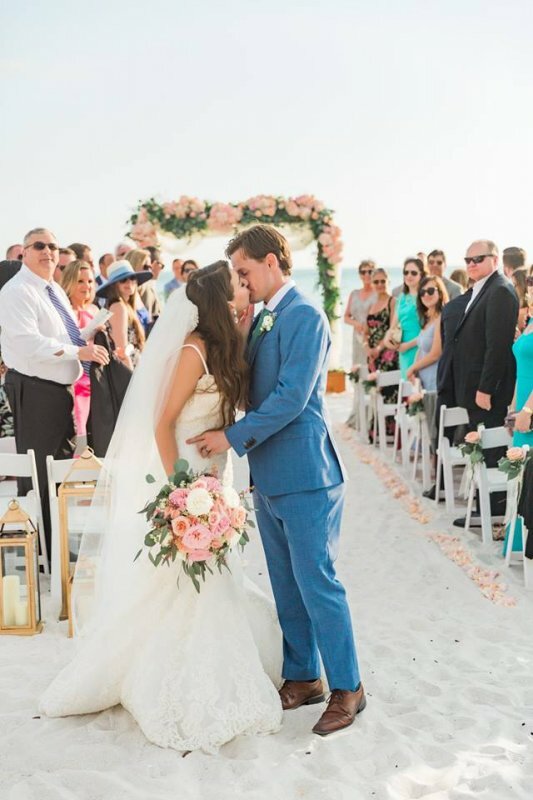 This arch was truly breathtaking, particularly against the backdrop of the beautiful beach. 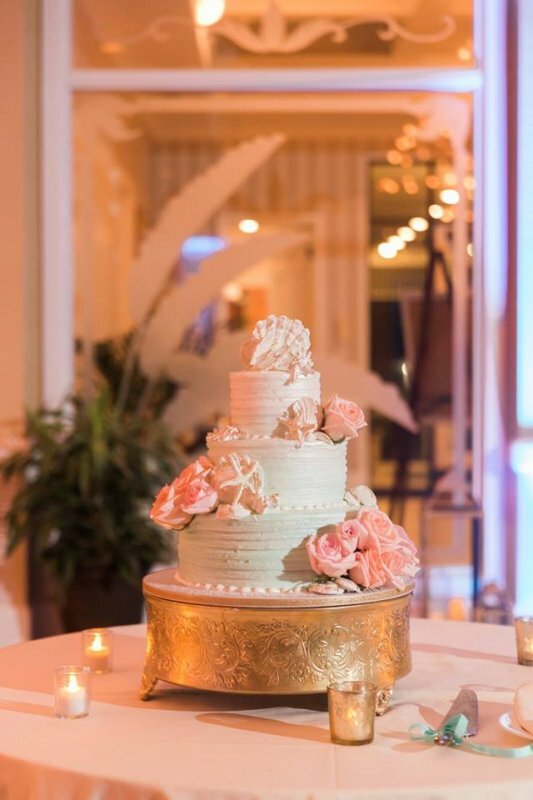 The bridal bouquet was designed with Pink O’Hara Garden, Playa Blanca, and Shimmer garden roses with a few smaller pink spray roses mixed in-between plus a filler of white wax flowers, feather pink Astilbee flowers and feather Eucalyptus. 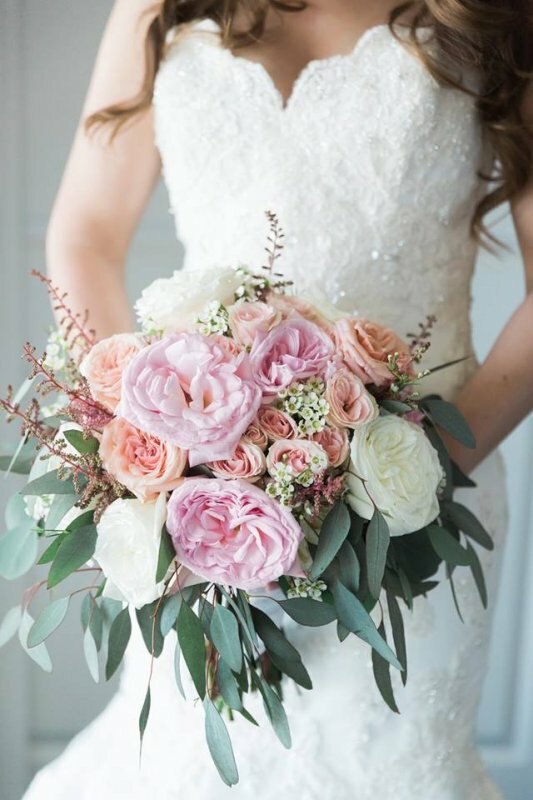 This bouquet was incredibly romantic! The bridesmaids had similar but smaller bouquets. 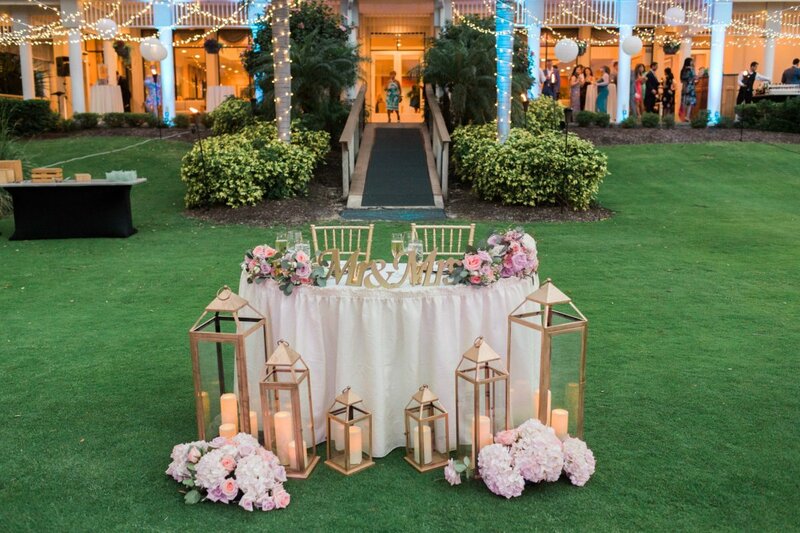 Rose petals were used to line the ceremony aisle and groupings of gold lanterns were used on either side of the cedar arch and also at the back of the aisle. 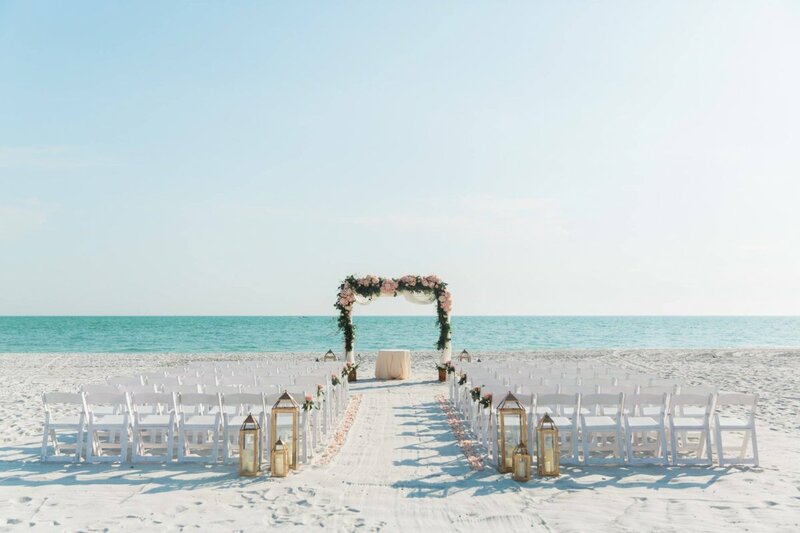 Small floral clusters were on the ends of every other chair down the aisle making a lovely back drop for the wedding on the beach with pretty blue skies behind them! 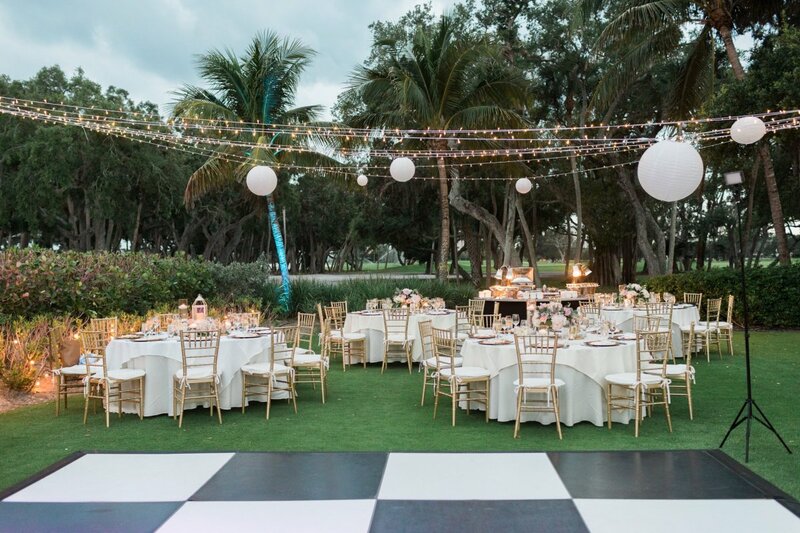 The reception was meant to have taken place on the Lawn at the Longboat Key Club, but Mother Nature had other plans so it was pushed inside. It was still beautiful! 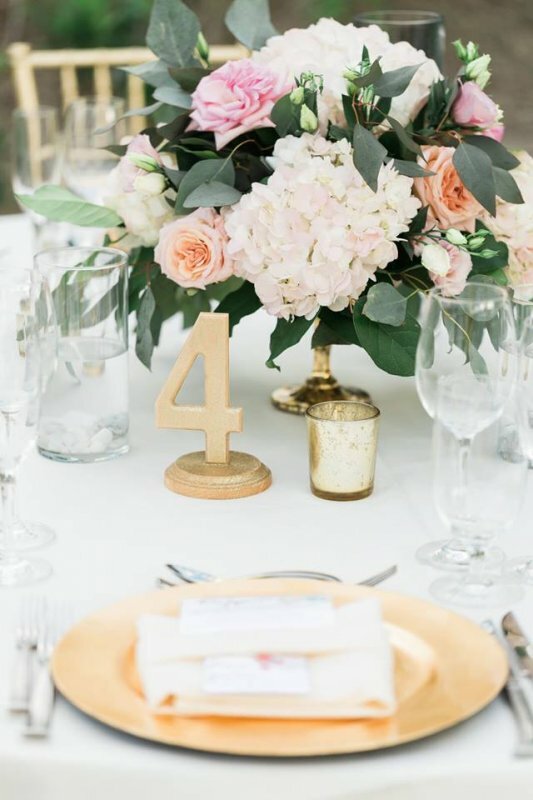 We used 2 different styles of arrangements on the guest tables: half of the tables had gold lanterns in the center of garden-like wreaths and the other half had our stunning gold-footed bowls with matching flowers that included white Lisianthus and its tips and buds with hydrangea and roses.